This struggle and this action of solidarity with the prisoners in reality is so much more, at least to me, it is a struggle against turning the whole planet into a prison of climate chaos, food insecurity, resource collapse and extinction future that will become a prison for our future selves whatever species we might be if the present trends are allowed to continue. 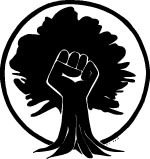 A future that is guaranteed if the only solutions enforced by those presently in power to the present day ecological, social and climate crisis is more exploitation, more cops, more weapons and more jails……. 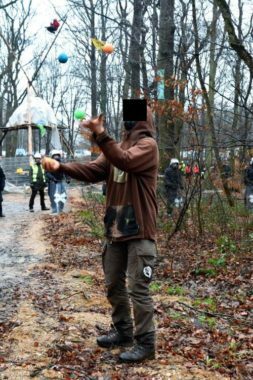 Release imprisoned Hambach Forest Activists – RIGHT NOW! 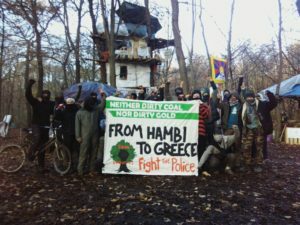 Since Monday, 01/22/2018, nine activists from the Hambach Forest have been in custody indefinitely. 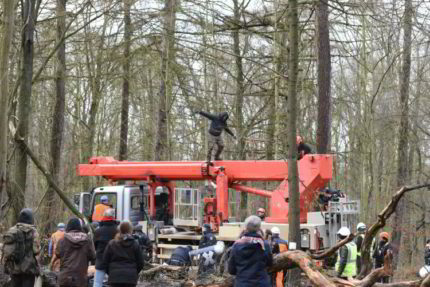 On that day they had obstructed the eviction of barricades in the forest and thus successfully prevented it. This Thursday an evening of discussion, letter writing and zine and book sending will take place at Autonomous Center in Cologne. The Café will be open at 7:00 pm while banner making will start at 5:00 pm outside. 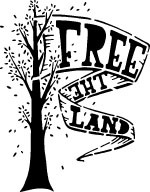 Bring postcards, zines and books, paint and brushes and a usb or sd card with images and text in jpeg format that might be appropriate for banners. The Vigil Group in the Hambi supporters scene organizes a vigil in front of the jail JVA Köln-Ossendorf tonight, in which some of the activists are locked away since the violent police action in the forest on monday. 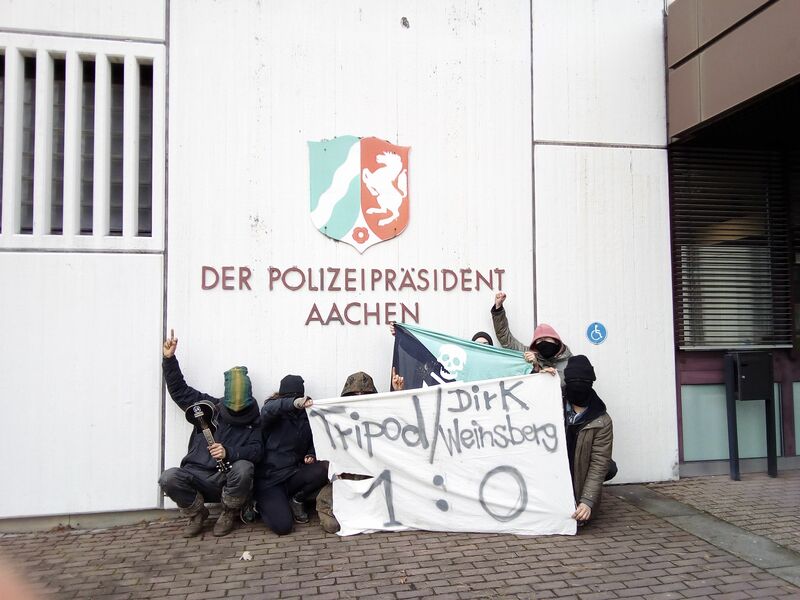 We show our solidarity with them and protest against the repression machine, that has been started up here. 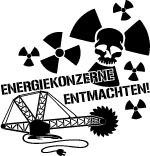 Wir freuen uns auf einen bunten und lauten Protest mit euch. Although we have a lot to do as usual (there are many barricades to be built) – of course enough time remains to send solidarity greetings to our comrades in Greece! Long live the Antinational Solidarity! 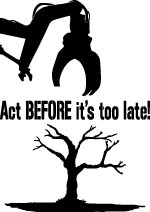 By massive civil disobedience it is possible to prevent evictions. 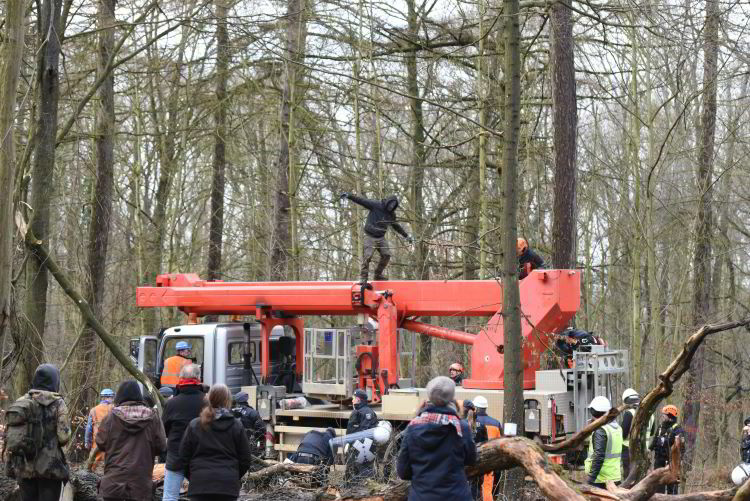 The violence and escalation in Hambach Forest comes from state and police, contrary to the propaganda that a de-escalative course is being run under the Aachen police chief. The majority of the media does not attach much importance to fair reporting in this matter. Instead, it is common practice to accept without any criticism alleged facts from police press releases. 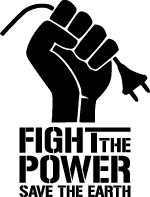 The last few days have shown that if we refuse to be put off as a movement, we have to be many, we must stand together and not give in our resistance, even though we have to reckon with repression through our actions. 9 people were deprived of their liberty for putting their bodies in the way of machines responsible for destroying our planet. So we have to make sure that those who are unwilling to tolerate such conditions show that they are outraged and make their voices heard.